As we discuss in the book, Peterson has a long-standing tradition of customization and design collaboration that stretches back to the first decades of the company. 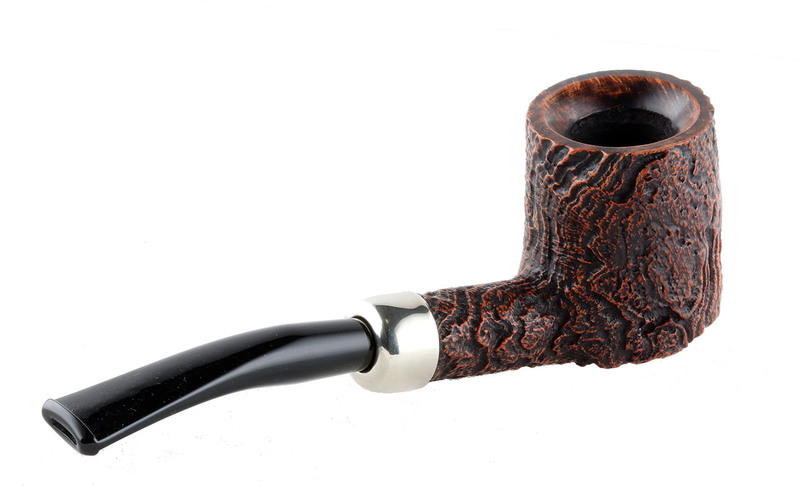 This could be anything from a short run of a single pipe, like the 307 System sandblast currently available for pre-order from Cupojoes.com for the Pipe Smokers of Ireland Facebook club, to a commemorative like the 135 numbered pieces produced for the James Fox 135th Anniversary last year, to a full-fledged line for a large retailer like Laudisi (Smokingpipes.com). These special edition pipes are of great interest to Pete Nuts, and I always enjoy hearing about them and how they came about. A few weeks back, one of the finest examples I’ve seen in a long time of a custom-line collaboration appeared at Smokingpipes, one that just begs to be seen all in one place. So I got in touch with Sykes Wilford at Smokingpipes and Conor Palmer at Peterson, who both modestly demurred that it was just part of the routine, but as you look at these pipes, I think you may find the Arklow line that came out of their collaboration is anything but. According to Sykes, the 2011 sandblast Wicklow was the first Peterson-Laudisi collaboration. 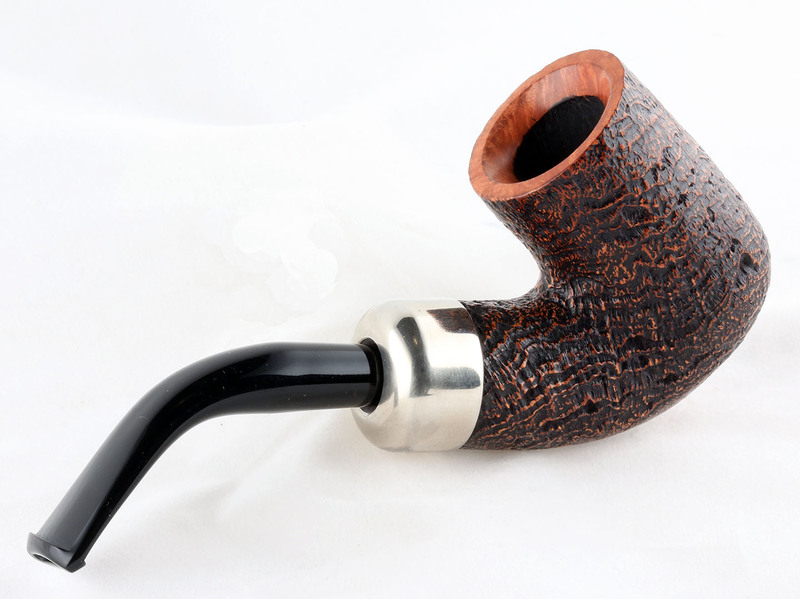 From the Smokingpipes website, it looks like the line underwent two or three iterations in color and finish before coming to a close around 2014. At some point since then, Laudisi also commissioned two further sandblast custom lines, the Aran sandblast and the Kildare sandblast. 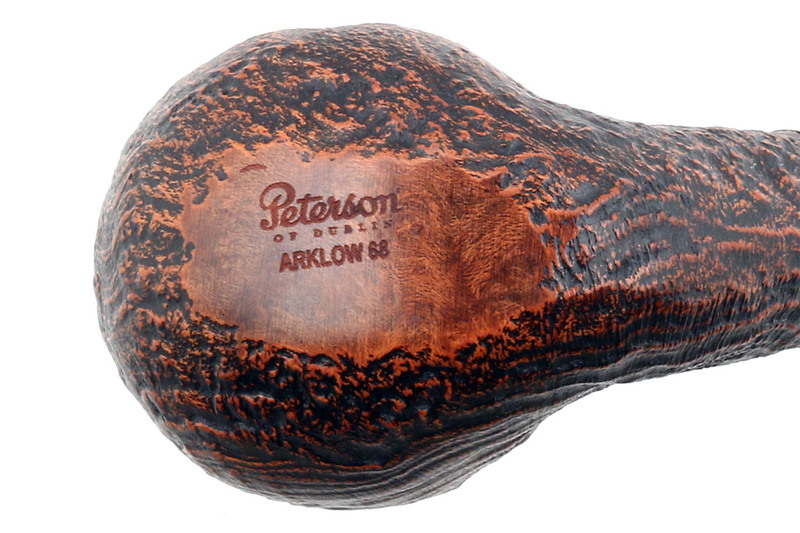 The latter was a collaborative effort between Sykes, Michael Walters (of Ashton Cigar) and Tom Palmer at Peterson and as you can see, is moving toward what would become the Arklow. 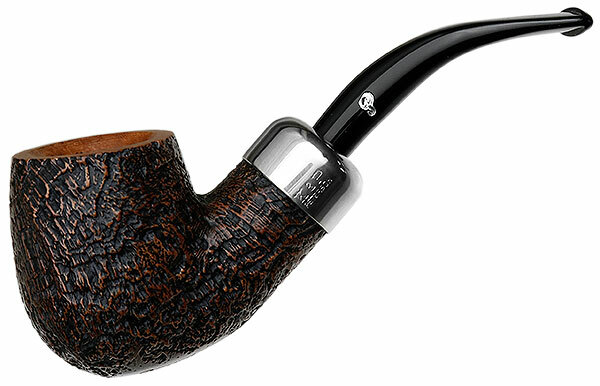 But for the fourth round of Smokingpipes – Peterson sandblasts, the idiom seems to have switched from Shakespeare to Oz: Sykes may have gone in as usual for “a horse of that color” (Twelfth Night, 2:3), but I think he went out with “a horse of a different color” altogether, as they say in The Wizard of Oz. A little over a year ago, Sykes and Conor began talking about a new line for Smokingpipes that would reflect Laudisi’s commitment to the uniqueness of each pipe as a functional work of art. Each pipe the company sells (as you already know) is photographed so “the pipe you see is the pipe you receive,” as their slogan goes. 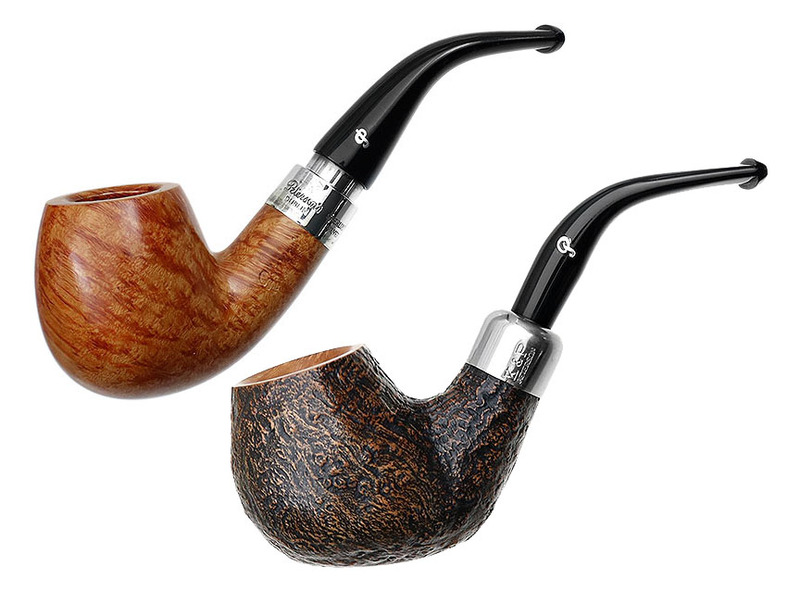 The first change on the bells was that Smokingpipes wanted breadth in shape selection for the line, something not usually seen in a custom line, nor in Peterson’s annual commemoratives like the St. Patrick’s Day and Christmas pipes. These usually top out at a dozen shapes, one of which is often a collectible coming down through one of the higher, more limited production series or specials. Then, of course, the Derry Rustic line happened, and with it, the dam seems to have burst. In any event, the best way for Conor to achieve the catalog breadth Sykes wanted was through sandblasted shapes, which are more readily available than smooths. Like the Derry before it, the Arklow seems to be conceived to allow virtually any shape from the catalog to come and go. Cool idea. The original idea, Sykes continued, was to have the pipes silver-mounted (like the Lubinski Italian lines), but in the end that pushed costs higher than was thought feasible for the line, so a nickel-mount was decided upon. Then came the issue of stains. Samples were made up in both a dark ruby and a brown, but it was a toss-up: everyone liked both. Conor brilliantly suggested they go half red and half brown, thereby diversifying the line even more. Finally, Jonathan had the idea that some of shapes be slightly “topped” or shortened, about 2mm to 4mm, it looks like to me. Not all the shapes, just enough to make a Pete Nut’s jaw drop in surprise. This is the first time in the company’s history that anything like this has been done–to consciously alter an established shape. One of the most dramatic examples is the plump brandy transformation of shape 68, seen here. The shorter acrylic fishtail stems with hot foil P also deserve mention, because they’re a departure from classic Peterson house style, some with only a very slight bend and an upward cant at the button. And I have to compliment the button on these acrylics, with their taller shelves, as much easier to clinch than what was being made in the previous generation of acrylic mouthpieces. 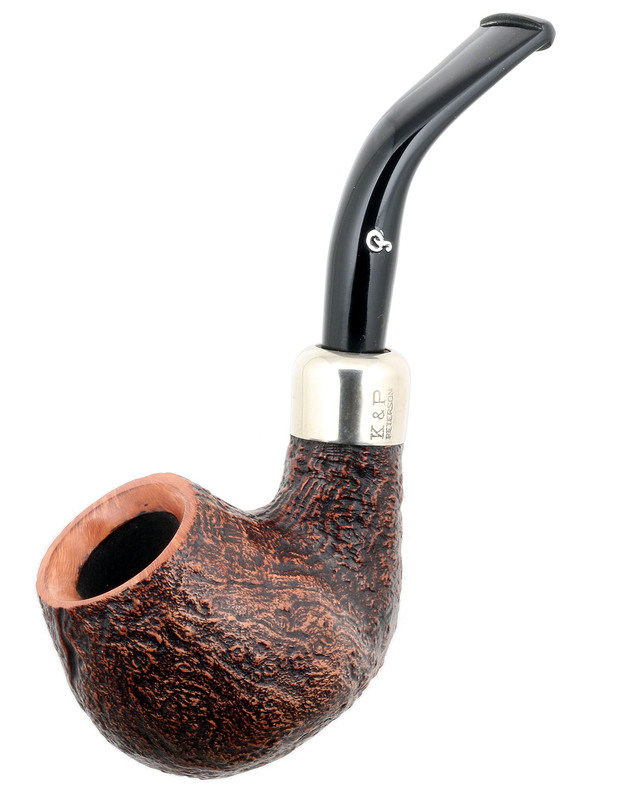 Sykes told me Smokingpipes has initially received 170 pieces in the Arklow line, and they’re proving very popular. It’s easy to see why. If you see a shape you like, give it some thought, because you might not see it again. When I first saw my beloved XL339 (the 309) shape, I resisted as long as I could – it must have been two, maybe three days (!). When I could stand it no longer, I found it had been sold. When it appeared again the following week, I knew my duty and did it, as you can see in the photo at the bottom. 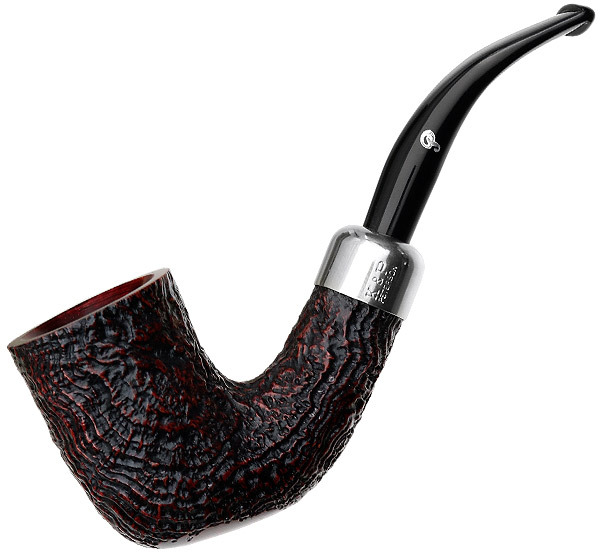 I have the Arklow 150 that I recently purchased from Smokingpipes.com. A fine smoker for sure as with all Petersons. I’m a dedicated Peterson Fan and Collector and have been for years. I’m actually learning how to smoke these army-mount with acrylic stems, which is exciting for me. It’s all about short puffs instead of the long drags I use on a P-Lip, but I also found that I was just trying to smoke the wrong tobaccos (for me). My turning point came when my Dad recommended I try some MacBaren Mixture, which works for me where my VaPers and Virginias don’t. I really love that peterson came out with something quite different. Still they where able to make a product that is and remains very obviously Peterson. I think Conor and the young guns are bringing in a new era for the company, but like you I find they’re still Peterson through-and-through. You. Are. So. Much. Fun. To. Tease. I just write “as we say in the book” to get a rise from you, Marc. LOL. However, now that you asked, we’re doing layout on chs. 9 and 10 just now, and both chapters ought to be finished by the end of next week. THAT will wrap up our first pass at Part 2 of the book — 2/3rds the way through! (I think we’re at about page 165.) We’ll have to retrench to edit part 2 once we receive all the publisher’s editorial concerns, then on the final part of the book. An indexer has been contracted and has the first part of the book to begin work on. The L&D gal is saying she’s gonna be finished with her end by Thanksgiving — but don’t hold your breath. Life happens. Looks like we’ll miss the Chicagoland show — that’s MY big disappointment. But maybe by the middle of next summer? I know the publisher is as anxious as we are to see the project finished. I’m just killing time between helping with L&D by teasing you with blogs about stuff that’s not going to be in the book, but most nights I’m actually preparing photographs (again, again, again), red-penning the proofs from L&D, and in general wishing (like you) the book was finished. Having said all that, do please keep on harassing me: it gives me a sense of urgency, that there’s guys like you who want to see this thing as much as I do. 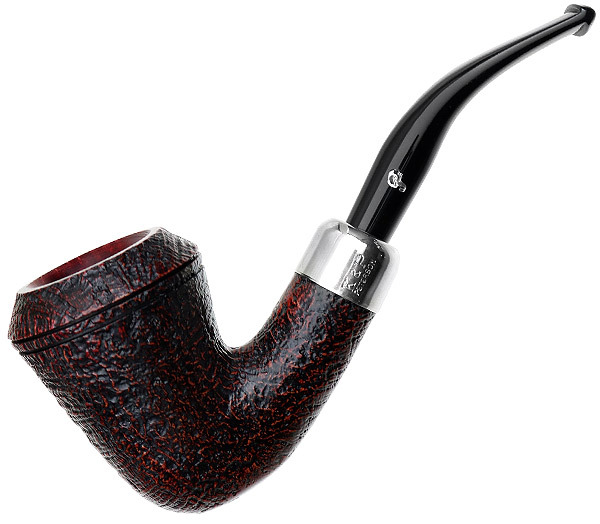 I like the looks of this new line of Peterson’s Pipes. May have to add one. Thanks Mark for keeping these in front of us! I’ve noticed that acrylic stems on Petes tend to be shorter and smaller than vulcanite. Is there a cost factor, or is the material just harder to work with? Also, while the XL90 is my favorite shape, it just looks unbalanced with that big beautiful bowl and short skinny stem. The army mount on the 307 works for me, because there is a flare in the stem toward the tenon end that gives it weight and visual balance. I wish they’d beef up them stem on these, like on the 307, because I prefer acrylic stems. Thanks for all your work, Mark! Very interesting! I like the inner, beveled polished bowl tops (ala GBD). But I’m not an acrylic stem fan.